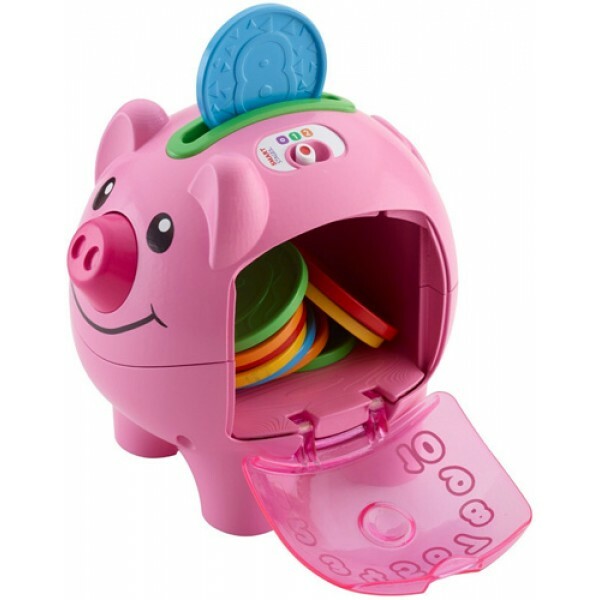 Count on plenty of learning fun and musical rewards with this delightful friend. 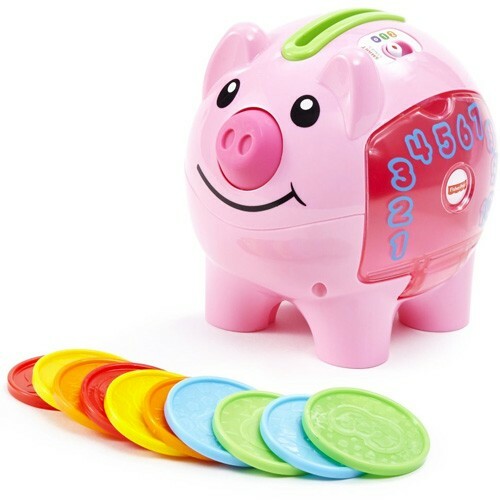 Baby will learn about counting, colors, animals and sizes with songs, music, speech, and activities that respond to baby. 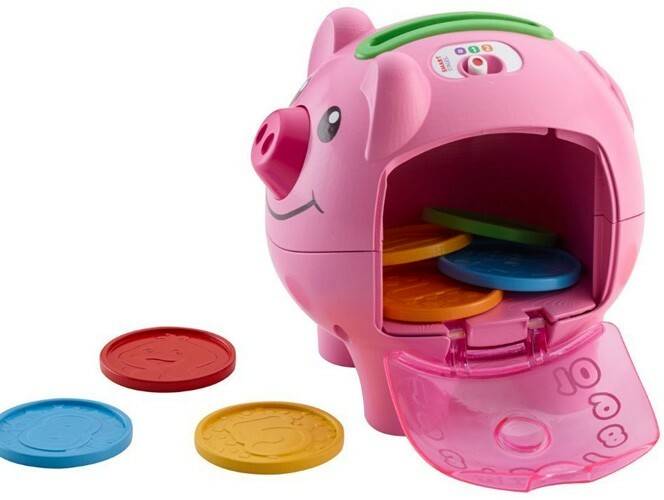 There are 10 colorful coins to drop into the slot while counting along, comparing big and small, and discovering mommy and baby animals. 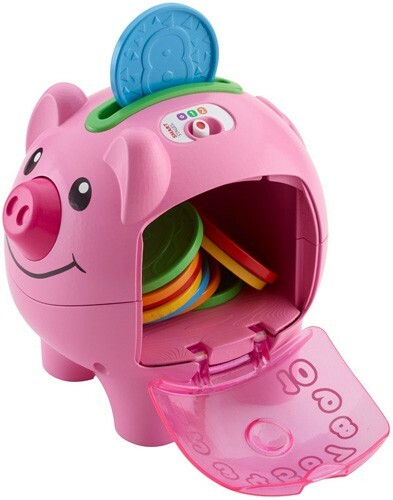 Press the piggy’s snout for musical responses, open the door for put-and-take play, and enjoy fun sing-along songs.